I saw this on Reverb and it was pretty inexpensive. I did some looking on it, and it seems to be related to the Japanese Aria's. 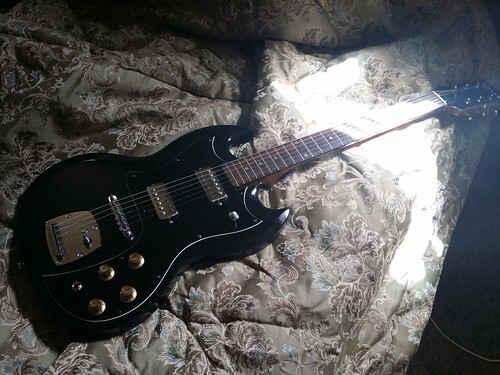 The pickups looked like the ones in a Univox "Coily" and the knobs looked like some of my other Japanese guitars. Figured I would give it a try. 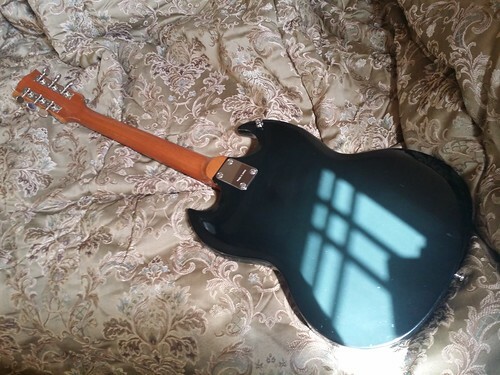 My experience with this guitar is it feels/seems very well made. Normal thinner body like a lot of Japanese vintage guitars. Electronics are actually pretty nice. No scratchy pots or toggle. 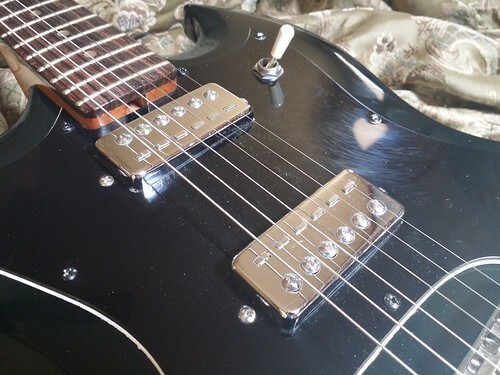 The pickguard is a little warped near the bridge, but just cosmetic and not unusual for older guitars. The tune-o-matic is pretty beefy and seems well built. The tremolo works fine, but I haven't found a threaded arm that fits it right. 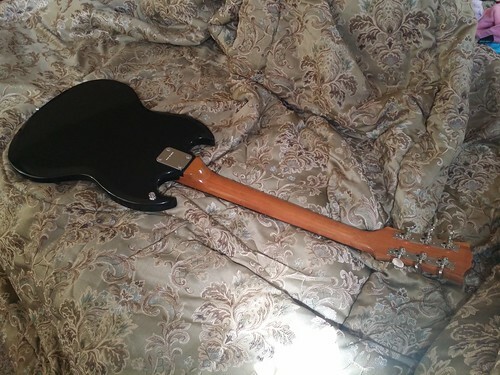 All three of my strat arms screwed in a little bit, but it felt really snug so I didn't want to force it. Pickups sound nice! I am not sure if these are mini humbuckers or single coils. They aren't really noisey unless using a gain pedal. Frets are smaller like a lot of vintage guitars. 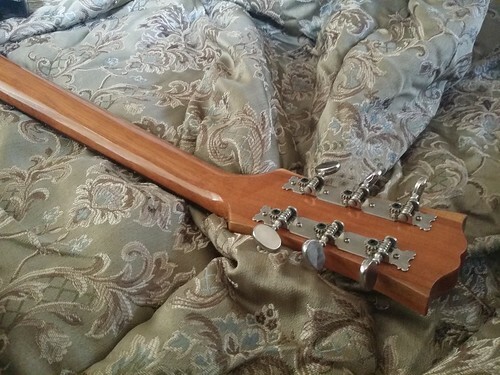 Has a nice thick rosewood fretboard and the neck shape is oval or U shaped like most of my Japanese necks. A little thicker than my others, but still nice. I think it is either Gibson scale or Fender short scale. It isn't as long as my full scale necks for sure. 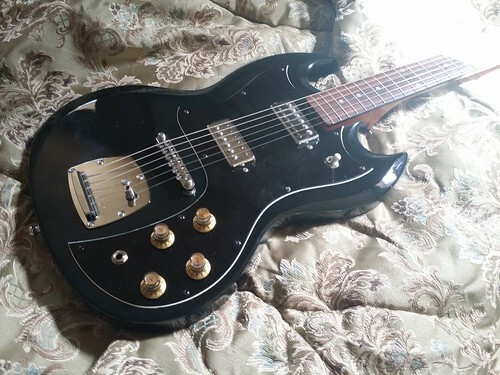 I prefer bolt on necks, so this is almost a perfect SG for me. 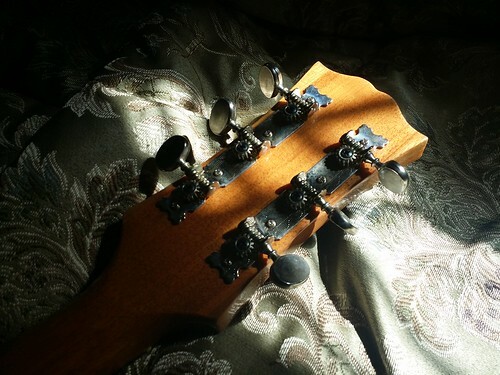 Unlike many of the older guitars I have tried (and a few newer ones), the tuners are not sloppy at all. No wiggle and they turn steady which was a pleasant surprise. 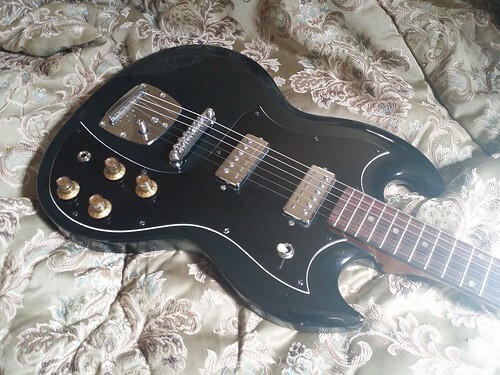 As much as i hate SGs and think they are the worst looking guitar ever made in the history of mankind, this is pretty nice. What Freddy said. Exactly what Freddy said. Pretty much my dream guitar right there. Has many of my favorite things. No rear mounted stuff, bolt on, cool looking knobs. 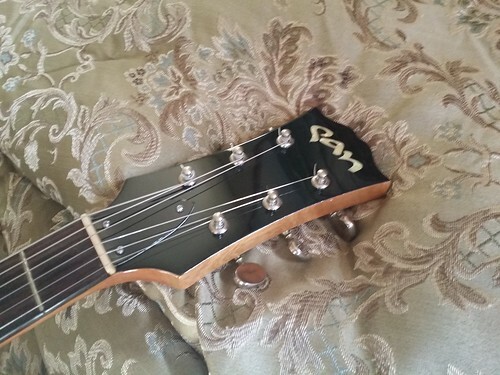 Jazzy like tremolo, strong bridge, oval neck, medium low action, no fret buzz, solid tuners.... Hard not to like. Look pretty sound and like a lot of fun. 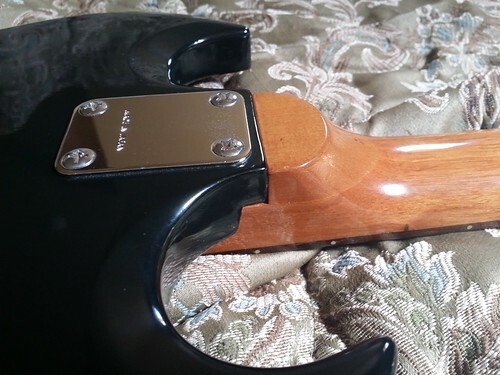 As with all thick-necked SGs, headstock dive can be a concern but I'm curious as to if the trem unit help things. No dive at all. Very well balanced. Looks cool, I had a Pan 335 knock off a few years back, looked great but unfortunately sounded like a banjo. 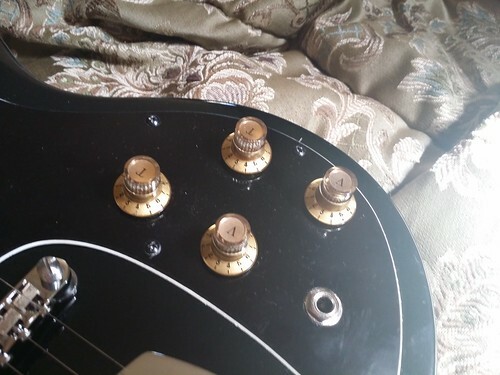 i dig everything but the tuners... an easy fix. Weird. I don't really like SGs but I quite like this. The neck join looks fantastic. Love that. So you reckon this is Matsumoko? I've never heard of Pan before.